Bones and joints (Figure 20). The hand. The framework of the hand is formed by five metacarpal bones; the digits (four fingers and a thumb) are made up of small bones called phalanges. Each finger has three phalanges (proximal, middle, and distal); the thumb has two (proximal and distal). The digits and their metacarpal rays are numbered from one to five, starting with the thumb. The metacarpals and phalanges are long bones. Each has a diaphysis or shaft, with slightly flaring ends. The proximal end or base of each bone has an articular surface where it forms a joint with the adjacent bone. The distal end or head of each bone (except for the distal phalanges) also has an articular surface. In the distal phalanges, the distal end is called the tuft; it does not have an articular surface, but provides attachment for the soft tissue (pulp) of the digit tip. The joints of the hand and wrist are named for the bones which they connect. Each finger has two interphalangeal joints (IPs), distal (DIP) and proximal (PIP). The thumb has only one IP joint. Between the proximal phalanges and the metacarpals are the knuckles or metacarpophalangeal (MCP) joints. The IP and MCP joints are capable of flexion (bending) and extension (straightening). In addition, the MCP joints are capable of abduction (spreading of the fingers) and adduction (bringing the fingers together). All of the IP and MCP joints have a similar arrangement of ligaments that bind the joint together. On each side of the joint are the collateral ligaments (the radial collateral ligament on the side toward the thumb; the ulnar collateral ligament on the side toward the little finger). The palmar aspect of the joint is stabilized by a plate of fibrocartilage called the volar plate. The metacarpal bones articulate with the wrist to form five carpometacarpal (CMC) joints. The first CMC joint has a saddle-shaped surface that allows it to move in all directions. This gives the thumb its freedom of motion: extension and flexion (parallel to the palm), abduction and adduction (at right angles to the palm), as well as some rotation. In addition, the first metacarpal is set at an angle of 90 degrees from the plane of the other four metacarpals, so that the thumb can easily come into contact with each of the fingers. This opposability of the thumb makes it possible to pinch, grasp, and manipulate objects efficiently. In contrast to the first metacarpal, the other rays of the hand have limited mobility. The second and third metacarpals are sometimes referred to as the "stable rays", because their CMC joints have virtually no movement. The fourth and fifth metacarpals are referred to as the "mobile rays" because their CMC joints have some movement, rotating slightly to allow cupping of the hand. The wrist is not a single joint, but consists of multiple joints. It contains eight small, irregularly-shaped carpal bones, arranged in two rows, proximal and distal. (The eight bones together are called the carpus.) There is a midcarpal joint between the two rows, as well as intercarpal joints between individual bones in each row. The distal row articulates with the five metacarpal bones (at the CMC joints, discussed above). The proximal row articulates with the two bones of the forearm, the radius and ulna, forming the radiocarpal and ulnocarpal joints. (The radius is on the thumb side of the wrist, the ulna on the little finger side.) In addition, the distal radius and ulna articulate with each other, forming the distal radioulnar (DRU) joint. The DRU joint allows the radius and ulna to rotate around each other, so that the forearm can be pronated (rotated palm downward) and supinated (rotated palm upward). The movements of the other wrist joints are complex; together they produce the wrist movements of flexion (bending toward the palm), extension (bending backward, also called dorsiflexion), radial deviation (bending toward the radial side), and ulnar deviation (bending toward the ulnar side. The distal end of the radius has a pointed projection or styloid process, which forms part of the radiocarpal joint surface. The distal end (head) of the ulna also has a styloid process; but unlike the radius, the ulna does not articulate directly with the carpus. Interposed between the ulnar head and the carpus is a disc of fibrocartilage, which is attached to the ulnar styloid. The radiocarpal and ulnocarpal joints together form a single continuous joint cavity, and are sometimes considered as one (radiocarpal) joint. The DRU joint has its own separate joint cavity. The joints of the wrist are enclosed by a fibrous joint capsule, and are further bound together by multiple ligaments which blend with the capsule. On the radial and ulnar sides of the wrist, respectively, are the radial and ulnar collateral ligaments. Supporting the palmar aspect of the wrist is a complex web of ligaments collectively known as the volar radiocarpal ligaments. Supporting the dorsum (back) of the wrist are the dorsal radiocarpal ligaments. 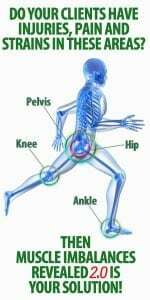 The collateral, volar, and dorsal ligaments are sometimes referred to as extrinsic ligaments, because they are outside the joint capsule. The intercarpal ligaments (connecting the individual carpal bones) are called intrinsic ligaments, because they are inside the capsule. The ulnar side of the wrist is bound together by a group of structures known as the triangular fibrocartilage complex (TFCC). This consists of the ulnocarpal disc, along with two sets of ligaments that are attached to it: the ulnocarpal and the radioulnar ligaments. The stability of the DRU joint depends on the integrity of the TFCC, particularly the radioulnar ligaments. In addition to the flexors and extensors, the hand has two groups of intrinsic muscles (so called because they are located in the hand itself rather than the forearm). The interosseous muscles originate on the metacarpal bones and insert on the phalanges; these muscles abduct and adduct the fingers. The lumbrical muscles originate on the flexor digitorum profundus tendons, and insert into the extensor expansions; their function is to make fine adjustments in the positions of the fingers. Movements of the thumb are carried out by eight different muscles. These include two flexors (flexor pollicis brevis and flexor pollicis longus); two extensors (extensor pollicis brevis and longus); two abductors (abductor pollicis brevis and longus); one adductor (adductor pollicis); and one muscle that opposes the thumb by rotating the CMC joint (opponens pollicis). Three of these muscles (flexor brevis, abductor brevis, and opponens pollicis) form the thenar eminence, the fleshy area of the palm at the base of the thumb. Adductor pollicis is located in the palm adjacent to the thenar eminence. The other four muscles are located in the forearm, and have long tendons that pass through the wrist to the thumb. The adductor and the three brevis muscles insert on the base of the proximal phalanx, and are responsible for movements of the MCP joint. Flexor and extensor longus insert on the distal phalanx, and move both the MCP and IP joints. The remaining two muscles (abductor longus and opponens) insert on the first metacarpal, and move the CMC joint of the thumb. Two tendons of the thumb, the extensor pollicis brevis and abductor pollicis longus, are of particular interest. Both of these tendons arise from muscles in the dorsal forearm. On their way to the thumb, they cross the radial side of the wrist in the region of the radial styloid, and pass together underneath the extensor retinaculum. They usually occupy the same compartment; however, in some individuals, the compartment may be subdivided by additional septa. Furthermore, in many individuals these tendons are reduplicated, so that there may be two or more of each. Nerves. There are three major nerves that supply the hand. The median nerve enters the palm by passing through the carpal tunnel, along with the nine flexor tendons. The ulnar nerve also enters the palm, by passing through a separate compartment on the ulnar side of the wrist, called Guyon's canal. The radial nerve crosses over the radial styloid (on the radial side of the wrist) to reach the dorsum of the hand. The motor branches of the median nerve supply the three thenar muscles, as well as the lumbrical muscles of the index and middle fingers. All the other muscles of the hand are supplied by the ulnar nerve. The radial nerve has no motor branches in the hand. Stop Letting Elbow Pain Limit YOU!�..